At a time when the media are constantly touting the imminent demise of American manufacturing, there are numerous suppliers to one of this country’s greatest and most universally sought after technological achievements who might challenge that notion. In fact, they just might debunk it with extreme prejudice. These are the suppliers to the Undulator System on the Linac Coherent Light Source (LCLS) project, recently completed at Argonne National Laboratory (ANL) and supplied as an extension of the SLAC National Accelerator Laboratory in California. On Friday, September 3, at ANL in Lemont, Illinois, several vendors to this project were acknowledged for their roles, during a presentation made by various key individuals in the project’s start-up and ongoing development. One of these vendors is M-1 Tool Works of McHenry, Illinois, who supplied a variety of machined metal components and assemblies used in the focusing operation on the light beams that create ultra-bright, ultra-short x-ray pulses from a high-energy electron beam. 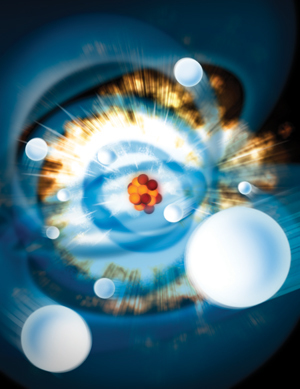 These x-ray pulses are a billion times brighter than the most powerful light source known and are used to capture images of molecules and detail their actions within an atomic structure. 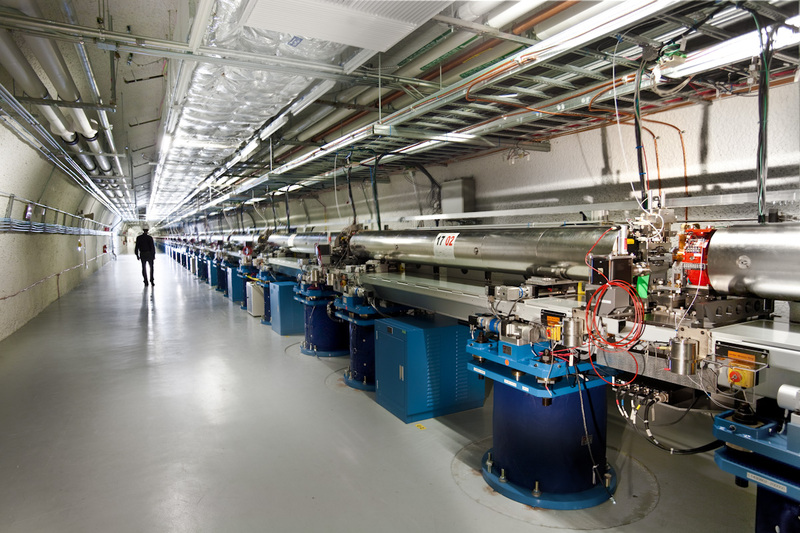 The first beam was generated in April, 2009 and the undulator was installed and fully functioning in the Spring of 2010. Users of this new American technology from every continent are already lining up at SLAC to apply it for the investigation of atoms on various mechanical structures, raw materials, pharmaceuticals, industrial chemicals, military ordnance, space exploration hardware and hundreds of other products. Commercial, institutional, educational, governmental and advanced research concerns are all requesting use of this technology, according to the directors of the project. M-1 Tool Works, a longtime supplier of precision components to such diverse fields as the aerospace industry, defense, medical, high tech, close tolerance and high reliability commercial industries, had previously done work for Fermilab and Lawrence Livermore National Laboratory. They were called upon by ANL to produce 36 assemblies, each comprising a central assembly and various close tolerance components. The materials used included tool steel, stainless steel, aluminum and specially annealed oxygen-free copper for the particular densities and electrical properties required on this application. Machining of the metals involved five-axis milling, drilling, wire and sinker EDM. The tight tolerances, all in the range of 0.0005” or less, were validated in the M-1 quality department, using CMM and other metrology devices. CAD files were supplied to M-1 by the designers at ANL. This particularly difficult machining operation required precise matching and line-up of milled, wire EDM and sinker EDM features. As company sales manager Ray Lindberg observed, “We were one of the few shops that had the machinery, the people, the expertise and the experience to do this job to the exacting specifications required.” The entire work product at M-1 was produced in just three months, a remarkable achievement, given the normal timeline for such projects. In comments made during the recognition presentation by the ANL scientists, they noted the entire system was aligned and successfully fired on just the second effort, thanks to the high quality of these machined parts. Functionally, the highly collimated electron beam travels through the undulator, where its motion is modified by a series of alternating magnets to create radiation saturation and the coherent alignment structure of the beam. This occurs in a two-mile section of the linear accelerator. First light was generated in April, 2009, light to the instrument was achieved in August of that year and the project was completed for commercial utilization in the summer of 2010. This $415 million project was completed by ANL on time and under budget. Overall, the undulator section measures 433’ and runs in a 600’ section of the tunnel at SLAC. All the assemblies were built and tested at ANL in Illinois, then transported for assembly and final commissioning at Stanford. A Beam Position Monitor checks the dimension and orientation of the beam to sub-micron levels of accuracy. M-1 Tool Works is ISO 9001:2000 and AS9100 certified as well as ITAR compliant.